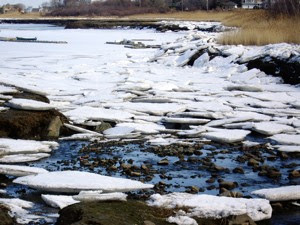 This is the small brook or stream that run into the Scituate harbour. In native indian, Satuit means cold brook, and from it, Scituate got its name. This significance to the towns history is told on a memorial plaque by its side.